What Is Pinterest and How Does It Work for Business? I’ve also included links to MANY more articles for Pinterest beginners, Pinterest strugglers, and those who are ready to master Pinterest marketing. Pinterest was founded in March 2010 and has quickly become one of the top social networks, especially among women, who make up the majority of users. In this video, learn more about Pinterest’s many features and advantages for both users and businesses. The text of the video is included below (plus my pro tips). Pinterest allows individuals to organize images and videos into personalized collections known as boards. Pinterest is more geared toward social discovery than other social networks. PRO TIP: This means it’s a great place for your business to be found! Pinterest says they’re actually a visual search engine, not a social site. And it’s an easier one to master than Google! Users can create boards and pin images showcasing everything from inspirations to favorite products, as well as browse through public pins and boards created by other users. Pinterest can provide significant value to businesses looking for a simple tool that engages customers effectively. Brands are empowered to learn about the interests and passions of their community. They can join as a business account in order to get access to analytics and insights, as well as take advantage of features such as promoted pins and buyable pins. PRO TIP: Using a business account on Pinterest doesn’t put you at a disadvantage, like it does on Facebook, and possibly Instagram. Users love to connect with brands on Pinterest! Brands can also create visually intriguing boards that speak to their audience by highlighting products, promoting company culture, and sharing content that connects with their community’s lifestyle. Users can easily interact with brands by repinning or commenting on their content. (Liking has been phased out). The rich pins feature can be used to showcase additional information including details about products, recipes, and locations.Adding “pin it” buttons to your company website allows Pinterest users to pin your imagery instantly without having to leave your site. This lets users share your images with ease, as well as directing traffic back to your website from Pinterest. When a user re-pins a post from a brand’s Pinterest page, they share that content with all of their followers. Because of Pinterest’s great search functions, the images you share remain relevant for longer, and can be discovered by users at any time. Absolutely! And not only is it free, a business account is not given lower priority in users’ newsfeeds (called the “Smart Feed” on Pinterest). Business accounts on those platforms have a tough time getting their posts seen by those who have chosen to follow their account. Business users often complain that it’s Facebook’s way of making them pay for ads to be seen. But Pinterest users LOVE to see (and buy) products! So there’s no reason for Pinterest to hamper your business’s reach. And they don’t! When you pin an image on Pinterest, it creates a clickable link to the website where the image is located. So if someone pins an image from your blog or website, every time another Pinterest user clicks it, you get free traffic.By getting people to pin or repin images from your website on Pinterest on a regular basis, you are guaranteeing a steady stream of traffic for months (even years!) to come. And, it’s more than acceptable for you to pin your own content. Please do! 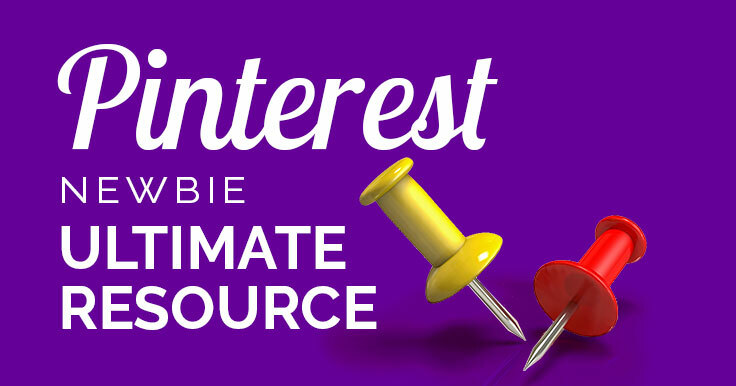 In this interview with Pinterest, they confirmed that they actually give higher priority to pins saved by the content creator, and that you should save your pins to multiple relevant boards. More visibility for you! The coolest thing about Pinterest is that you don’t need a lot of followers to see results – because your pins will be seen by Pinterest users who don’t even follow you! Remember, Pinterest is a visual search engine. Your goal is to provide enticing images with descriptions that are optimized for search. And always with a good call-to-action! All of these goals are easier to attain on Pinterest than you might think! Pinterest users aren’t there to catch up with friends, like on Facebook, or hear the latest, like on Twitter. They use Pinterest to find information and products! Are they finding yours? Related read: Pinterest Users: Who Are They, and Should You Care? When should I start a Pinterest business account? I do have a business but no website yet. What should I do? If you don’t have anywhere to send traffic yet, it’s a perfect time to get started. Check on what others in your niche are doing, set up boards relevant to your business, start repinning others’ quality content, and start following relevant accounts. You can take this as slowly as you want, but the cool thing is that once you have an online business, you already have an established Pinterest account – so you’re not starting from ground zero. I recommend you follow the first 5 steps in my FREE e-course! The only way this strategy won’t work is if you have NO idea what boards to create because you haven’t begun to define your business yet. In this case, you may wish to read about identifying your niche. Want to go deeper? Click to read these posts for Pinterest beginners. Will Pinterest work for my business? What should I pin on Pinterest? How do I make Pinterest pins? What’s the best time to pin on Pinterest? First off, know that Pinterest takes time. What you pin today isn’t necessarily going to drive traffic tomorrow, or even next week. However, Pinterest pins have the longest life span of any social media posts! Of course, there are always things you can do to improve your success on Pinterest! Are You Using the Best Pinterest Pin Size for 2018? 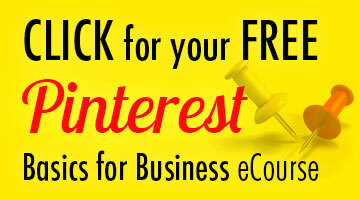 Pinterest for Business: Follow These 10 Rules, or FAIL! Get In on the Pinterest Traffic Explosion! Here are more topics I can cover in future blog posts, if there’s interest. What does it mean to pin it? How do you pin your own photos? How do you repin something on Pinterest? Can I use my personal Pinterest for my business? to making simple, pinnable images, in the FREE e-course.Get ONE simple action step each day. Join now! Leave a comment and let me know what else you need to know about Pinterest basics. Please share this post if you have friends and followers who are asking, What is Pinterest? I’m so glad I came across this post today. I’m trying to step up my Pinterest game. I’ve been making some changes and even deleting boards to streamline it to my niche but I could use a little more help to get it to where it needs to be. No doubt I’m passing this along. Have a great week. Cori, I am so excited to have you along for the ride! And thanks so much for sharing. Greatly appreciated! My question is understanding why I should spend my very limited marketing time pinning (promoting) my competitors, (like other glass makers or jewelry makers). Is that good business? It seems I’m sending people away from my info & products? I’m confused what to pin? You don’t have to pin others’ products. I don’t, unless it’s someone I know well and am happy to promote. If you get questions on how to use / wear / care for your jewelry, that type of info would be great to pin, even if it’s from someone else. Or how you make it. Whatever your potential customer would be interested in that could lead them to make a decision to buy from you – or even to follow you. A sale may come later. It’s pretty much the same as FB, Twitter, etc in this regard: if you will only share your own content, you’re hurting your own authority, reach, and follower growth. These are great Pinterest tips for everyone! I love using Pinterest for my business, it has really helped me get the word out and connect with people who need what I’ve got to offer. It’s taken a lot of trial and error so far but its been a great learning experience. Gld to hear it’s working for you! I love Pinterest too. I am changing to a newer computer sometime today. My IT friend is going to be doing it for me. As you know I have my own website with eCommerse and online store. I will be making my business on Pinterest and not sure if I should keep it seperate from my social Pinterest account. Your advice would be appreciated. I have been researching how to do my marketing and must say I have chosen you because you speak plain English which this dyslexic dummy can relate to. I hit the wall with brain drain and stopped doing anything until this new year. Looking forward to seeing you and and know this year is going to be a beauty for all of us. You have 2 choices when using Pinterest for business: Create a separate account for personal use, or make all your personal boards “secret.” Either way, you keep your business Pinterest on-point and improve your SEO. My own choice is one account with secret boards for personal. According To Me Pinterest Is a #1 Social Network Now. A Huge Number Of People`s Are Always Active On Pinterest. So Any One Can Use Pinterest For Their Business. 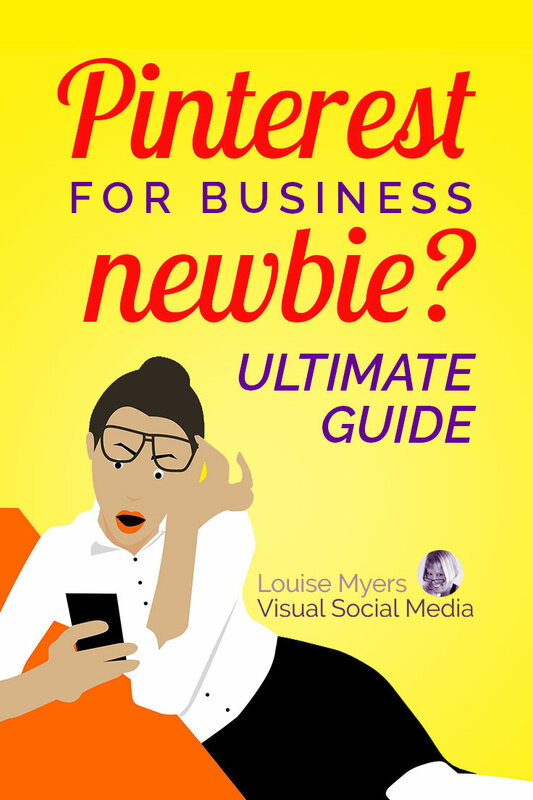 And Louise Myers Your Post About Pinterest Is Very Helpful For Newbies .. Thanks For Sharing Such a Great Post….